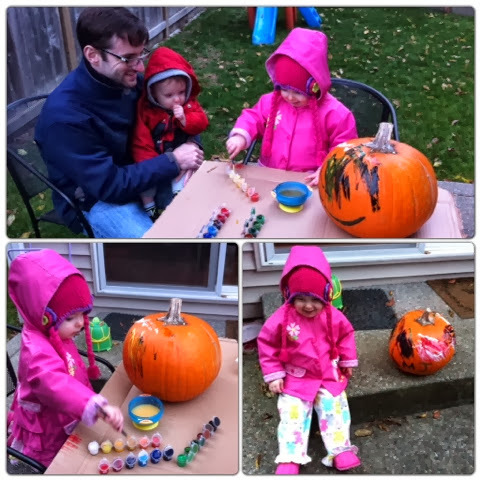 Last weekend, Madelyn painted her first pumpkin! She LOVED it and listened to our instructions very well. Little brother just watched this year. Next year, we'll get him in on the action.